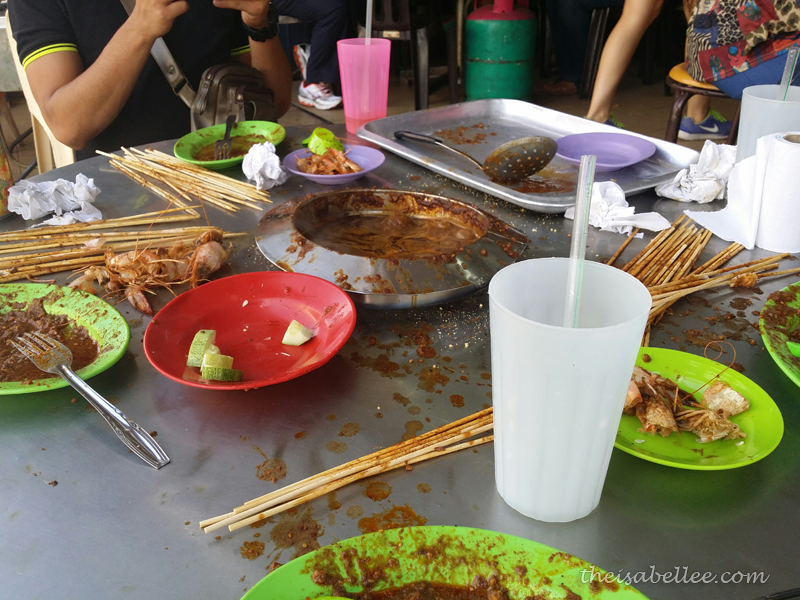 The previous time I was in Melaka, I had the other famous Melaka satay celup, Ban Lee Hiang, because Capitol's queue was already 3 shops long. Yes, we count the queue by the number of shops. Because that's how crazy they get. This time, we arrived slightly before 4pm so we just stood around waiting for them to open. It's a small lil shop with about 9 tables so that explains the queue.. 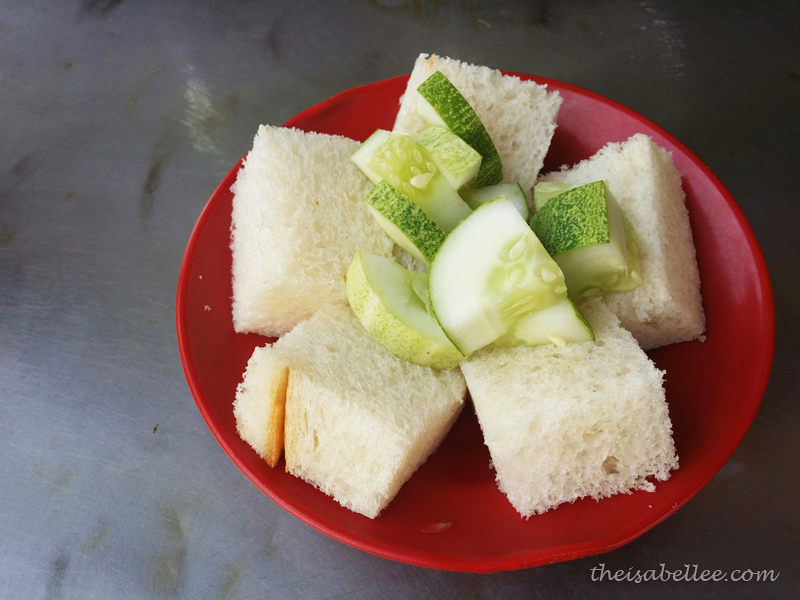 Unlike Ban Lee Hiang (where they reuse the sauce), each customer gets a fresh pot of sauce which will then be mixed with gula Melaka, spices and peanut. 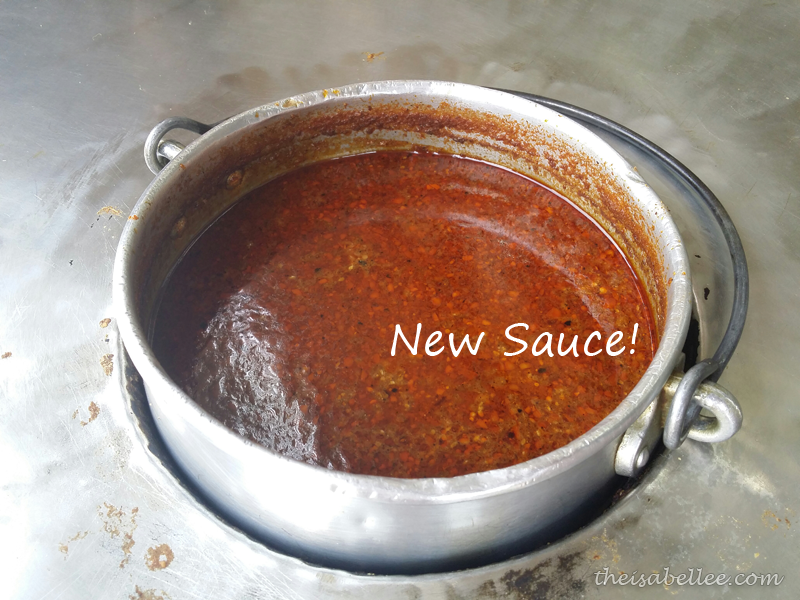 The concoction results in an aromatic spicy peanut sauce which you will use to dip everything in. As plain as they are, these bread pieces go amazingly well with the sauce! Dip them in for about 3-5 seconds until they are soft and coated in the sauce. Heavenly..
Each customer also gets a serving of the special food which aren't available at the fridge. 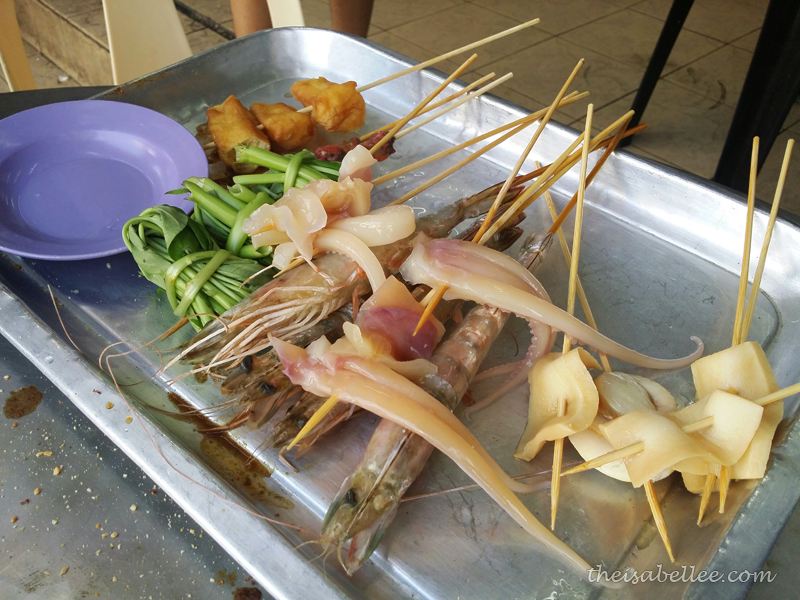 These include squid tentacles, prawns, abalone slices and yummy scallop. Quite a mess eh? 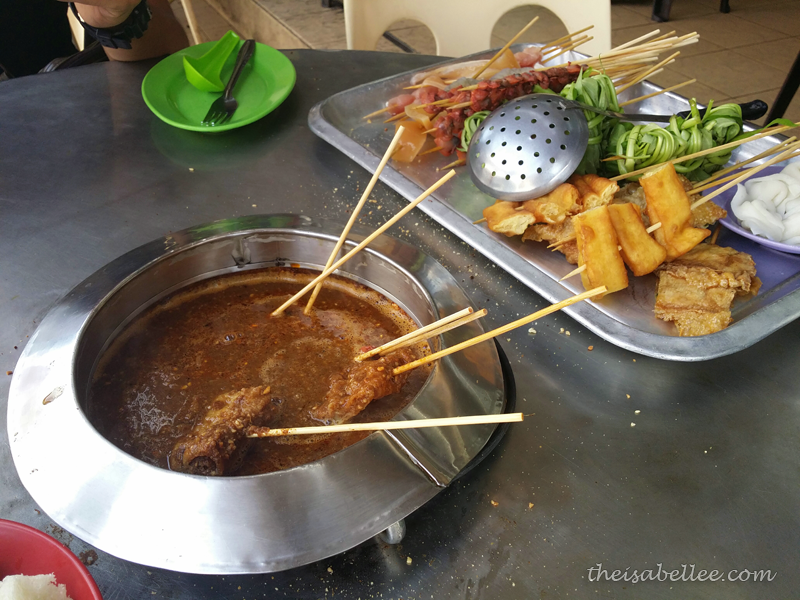 =x Satay celup is one of those must-try experiences if you go to Melaka just for the sake of it. Probably wouldn't return for a second visit though. 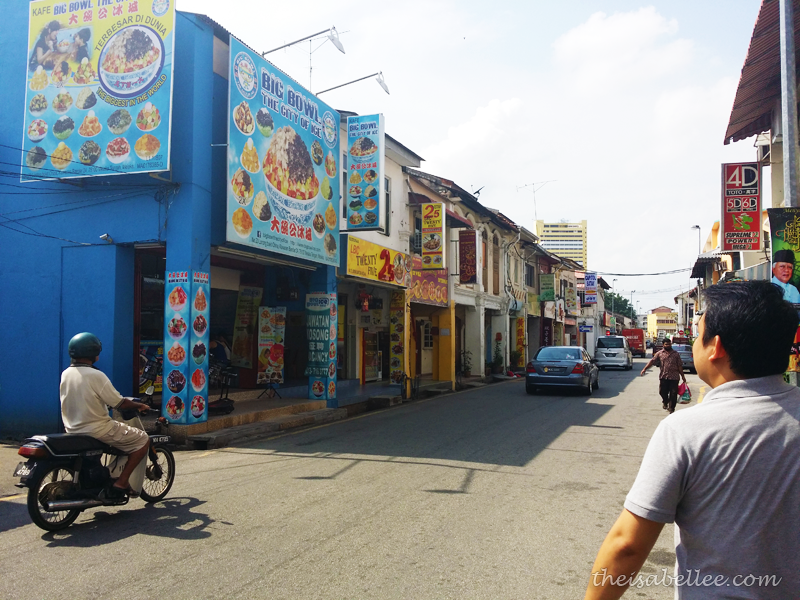 Address : 41, Lorong Bukit Cina, 75100 Melaka, Melaka. Does it really work eliminating black heads? wow nice. been missing satay celup madly. 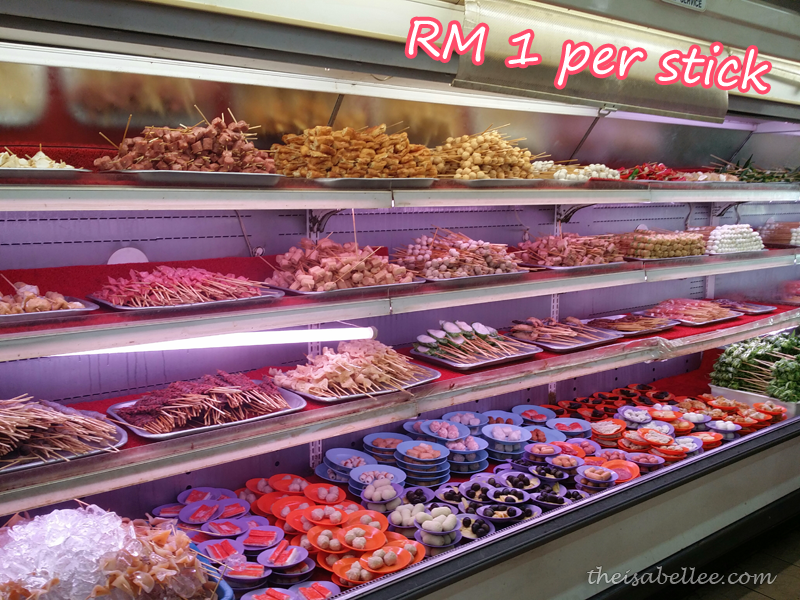 RM1 per stick is cheap right? Hi Isabel! 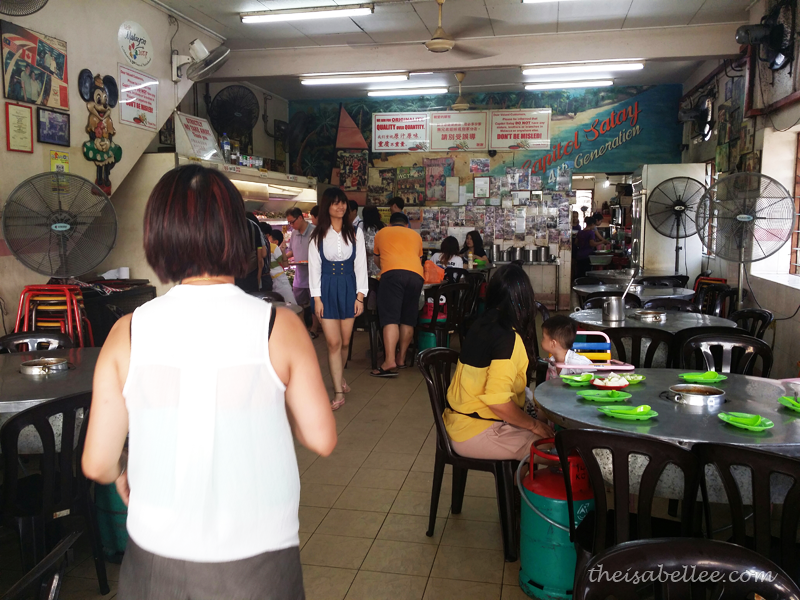 In your opinion, which is better, Ban Lee Hiang or Capitol? Thanks! I would actually prefer Ban Lee Hiang! Wayyy more tables, shorter wait, more variety and I believe it was cheaper. However, the fact that they don't change the sauce is kinda disturbing.